Martina's new collection Croi Sliogan got off to a fantastic start when she was lucky enough to encounter Her Royal Highness Sophie Countess of Wessex in Dublin during her recent state visit with Prince Edward. Martina just so happened to be launching the new collection in Dublin at the Kilkenny Shop when the Countess paid a visit. 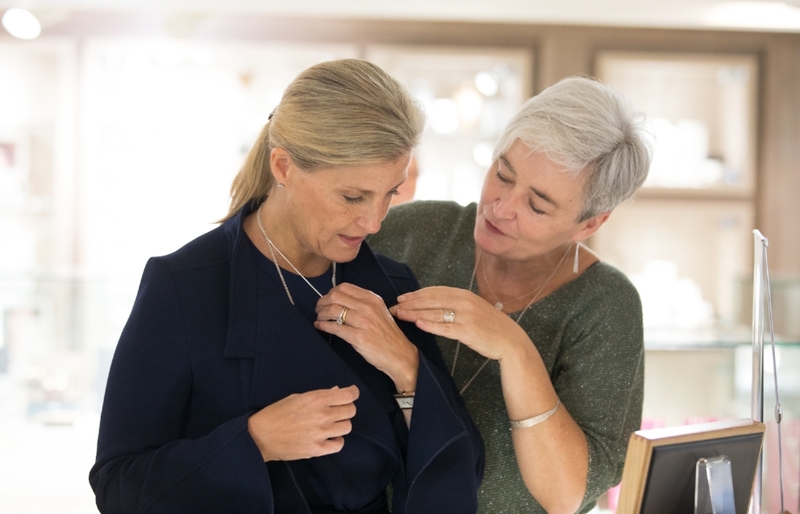 Martina explaining the origin and inspiration for her new Croi Sliogan Collection to Her Royal Highness Sophie Countess of Wessex in Kilkenny Shop Dublin. We were delighted to see Countess Sophie out and about in Dublin that night and at Chateâu de Fountainebleau in Paris the next day wearing the full collection. The inspiration of a broken piece of shell found on a north Sligo beach on a rainy winter’s day wound up in the international fashion spotlight.